That is SOOOOO cute. Great shot! Great. Fantastic composition!!! I love that you opted to include the branches on the left. beautiful pattern-color, looks so like a “modern” painting, but it’s made of real elements. great one! What a cutie. 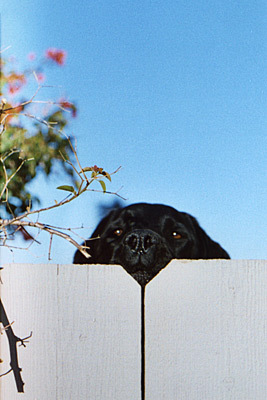 I can’t imagine him looking as adorable and inquisitive without the fence.